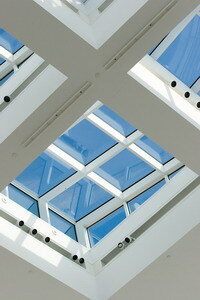 Glass skylights boast several advantages over plastic skylights. To begin with, their energy efficiency differs in that glass skylights are usually given a protective solar coating and form of insulation (generally argon gas), whilst plastic skylights are not. The solar coating allows for a heavy reduction in the build up of heat, sometimes up to 65% . Glass skylights are made air-tight and tempered, which allows for a life-span and warranty to be provided, unlike plastic skylights whose life-span is always unpredictable. 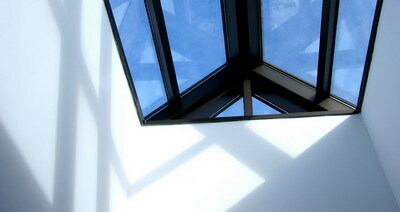 Also, glass skylights provide a clear outdoor view and do not discolor over time. They are less durable than most plastics, and therefore pose a safety hazard. This is important for those living in extreme weather conditions. Maintenance of glass skylights is more difficult. 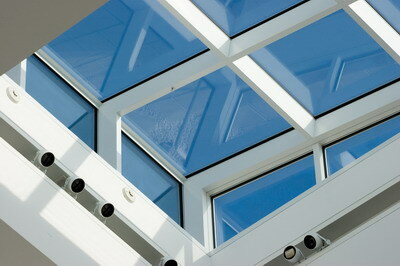 However, Roof 101 offer many self-cleaning glass skylights, which can easily solve the problem. Heat build up is higher in glass skylights.